Looking to sell online? If you need a simple shop or fully featured package we can design and build an effective online shop that you can manage yourself. We have developed online shops selling a few select items to shops selling thousands of different products. Once built we can provide training on the system to make sure you are comfortable with managing the shop and provide ongoing support so you have always got an expert to turn to. 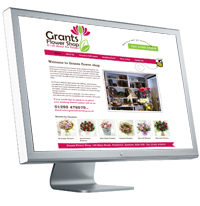 We can even manage the online shop if you don’t have the time. Our E-commerce Web Site Package is a full package perfect for a home based business wanting to build a drop shipping business to a large chain of shops that want to get into online trading. If you want to establish yourself online and start making money through your web site then this is the package for you. You can advertise as many products as you like and have as little or as much detail on them as you like. Looking at selling downloadable products like eBooks or MP3′s? Not a problem, we have the solution for you. As with all of our web projects we will build the site with search engine optimisation (SEO) in mind and give you tips and advice how to take it to the next level or we could even take on the SEO of the site for you. outbox4 specialise in providing e-commerce website design and development and payment integration. Our compact e-commerce shopping cart systems are cost-effective and simple to operate. We have lots of features to offer and any customer can plan to customize its e-commerce website based on it budgets and features. As always at Click we are here support you from day one to the end of your venture. Our E-commerce website packages can start from as little as £499 so contact us so we can give you a full, free, no obligation quote.